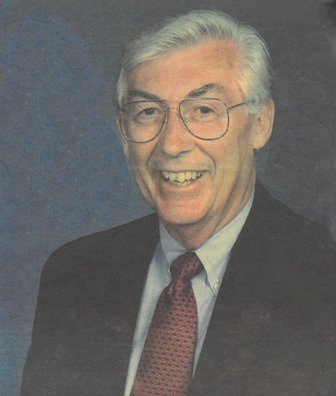 Leo G. Martin, 90, a longtime resident of Kennebunkport and well -known educator, died Wednesday, April 3, 2019 at Maine Medical Center in Portland following a brief period of failing health. Leo was born October 10, 1928 in Marblehead, MA, the son of Leo Paul and Lillian Frances Timson Martin, and graduated from Marblehead schools. Following graduation, he enlisted in the US Army, serving very briefly at the end of WW II, and then in Korea during the Korean War. After the War, Leo attended Boston University, and later earned two Masters’ Degrees from the University of Maine. In 1951 he met Priscilla Brown of Kennebunkport, whom he married in 1955. They soon returned to Kennebunkport, moving into the home Priscilla’s father and Leo built on Towne Street. Leo began teaching in the Kennebunk School System, where he went onto become principal of Park Street School. He served as Assistant Superintendent and then for 17 years, as Superintendent of SAD 71. Leo was appointed Commissioner of Education for the State of Maine during the Jock McKernan administration. Upon leaving his post, he formed an educational consulting business and also worked with the New England Schools and Colleges accrediting international schools around the world. Active locally, Leo was a member of the South Congregational Church in Kennebunkport, The Kennebunk Rotary Club, Arundel Lodge #76, AF & AM and was Past Master in 1961, a longtime member of the Kennebunkport Budget Committee, interim town manager of Kennebunkport, and interim superintendent for several school systems throughout the state. He most recently has served on the Board of Directors for Spurwink in Scarborough, chairing it’s Human Resources Committee. Survivors include his beloved wife of 68 years Priscilla Brown Martin, a son Gary E. Martin and his wife Tammy, a daughter Susan L. Martin, three grandchildren Chad M. Courville, Katharine L. Courville, and Adam J. Martin, and a brother Peter Martin, all of Kennebunkport. Should friends desire, donations can be made to the Leo G. Martin Scholarship Fund ℅ Friends of RSU21, and sent to 177 Alewive Road, Kennebunk, ME 04043. Visiting hours will be held 2-4 PM Saturday, April 6, 2019 at Bibber Memorial Chapel, 67 Summer St. Kennebunk, with a Masonic Memorial Service at 4 PM. Overflow parking with a shuttle to the funeral home will be available at the Sea Road School, 29 Sea Road, Kennebunk. A memorial service will be held 2PM Sunday, April 7, 2019 at South Congregational Church, 2 North St. Kennebunkport. Overflow parking will be available during visiting hours at Sea Road School, 29 Sea Road, Kennebunk with shuttle service provided. Honor the life of Leo G. Martin by planting a memorial tree. Leo, a wonderful educator and humanitarian, will be missed. Our heartfelt condolences go out to his family. He was truly unique. So many fond memories from a young age at the Day Camp with Leo, Priscilla and Lefty. Our Youth Group leaders at the South Congo Church and the many years I taught when Leo was Principal and then Superintendent. My thoughts are with Priscilla, Susan and Gary. Provide comfort for the family of Leo Martin with a meaningful gesture of sympathy. Donations are being accepted for: Leo G. Martin Scholarship Fund.